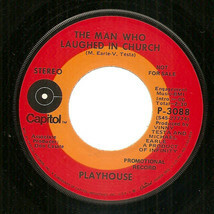 Capitol P-3088 promotional stereo vinyl single (1971) Playhouse Love Means (Never Having To Say You're Sorry) b/w The Man Who Laughed In Church both sides written and produced by Vinny Testa and Michael Earle It's hard to believe a Capitol single could be so obscure. 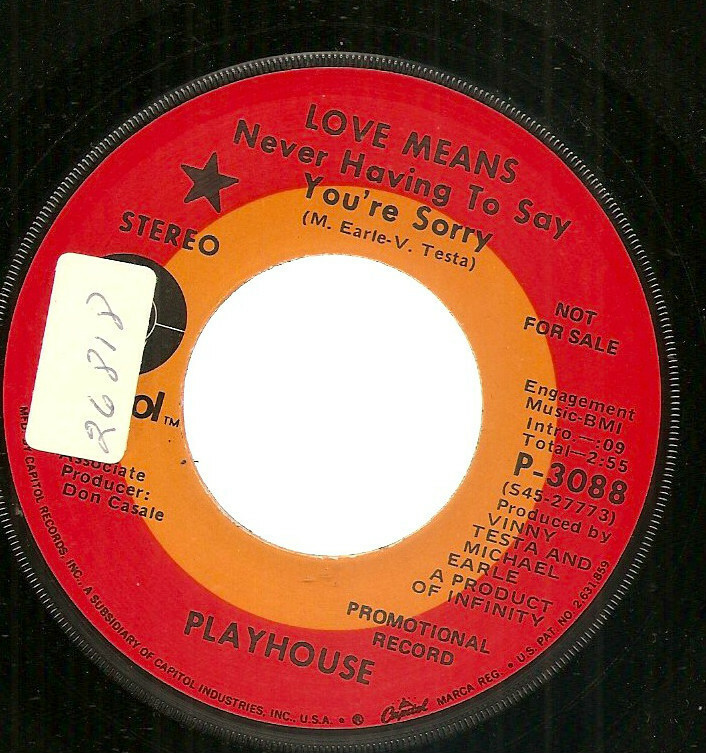 In trying to research this one, about all I could find online was that it briefly charted on radio station WHLO in Akron Ohio. 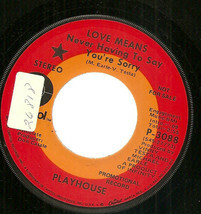 The mid-tempo a-side takes off from the famous line of dialog in the film Love Story (but is not the same song as the hit by Sounds of Sunshine, which sounds like the Lettermen), with appealing trade-off male and female vocals, somewhat reminiscent of Spanky and Our Gang or Peppermint Rainbow. The b-side is a throwaway with a rhythm section playing it straight behind male vocals and much goofily reverb-laden laughing. Don't know if Dr. Demento ever played this, but if he'd ever heard it he would've. Drumming at times sounds a tad rough to be Blaine, but the tuned toms and triplet at the end of the flip side strongly suggest his presence, maybe toiling at the end of a long day in the L.A. studios.